I’ve seen this coin first listed this past Saturday. I’ve been mulling over buying this coin since Saturday, Sunday, Monday, and today. After my lunch today, I decided to purchase it (if it was still available). It was. so I bought it. 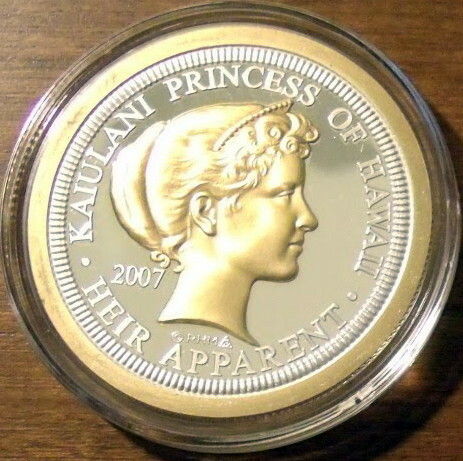 This is a rare 2007 Kaiulani Princess of Hawaii gold layered 1 ounce silver. Similar to X#24 Liberty Services issue but gold layered.